Sergio Rubin was born in Santa Fe, Argentina. He is an award-winning author, journalist, and is currently chief of religious news for the Clar?n newspaper as well as editor of the supplement Valores Religiosos (Religious Values). 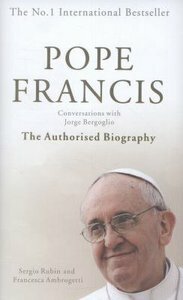 He has interviewed major figures such as Mother Teresa and covered over a dozen of John Paul II's trips, his funeral, and the election of Pope Benedict XVI.